Fifteen-year-old Lily O’Neal is discovered by a big-name director when she’s auditioning for a role in a toothpaste commercial. He wants her for his new movie, which is great except that it’s shooting in Los Angeles and Lily lives in Vancouver. With the help of her Chinese grandmother, she convinces her parents to let her go to LA as long as her agent goes along as a chaperone. But when Lily gets to Hollywood, she learns that if she wants to be more than the flavor of the week, she may have to pay a price that’s way too high. Readers who are interested in acting or dream of a career in the arts will enjoy this story about 15 year old Lily O’Neal. Relatable, fast-paced and highly recommended. In Lily, Langston has created an authentic, lively character with whom readers will be able to relate. The realistic portrayal of the acting scenes also adds tension and depth to the story. Bring me another glass of wine,” Damarais demands when the waiter stops to top up our water glasses the following afternoon. She’s wearing a sleek beige pantsuit, chunky black jewelry and a Bluetooth in her ear. She looks like a cat ready to pounce the way she watches the other tables. My mouth is full of smoked salmon tart so I nod. Everything is perfect. Except for the chunk of salmon stuck in my teeth. I know. And I’m thrilled. But I’m surprised at how few questions she’s asked me. Mostly, she’s talked about her other clients and how well they’re doing. She holds up her finger. “Excuse me.” And she’s back on her Bluetooth. Which is totally okay because now I can wiggle the piece of salmon out of my teeth. “You were talking about my representation.” I sound so calm but inside I am screaming with excitement. I can hardly believe it myself. Photos of me and Etienne at the Copper Awards. Press about my choice of dress. Plus the interview with the Hollywood Slate. My breath stalls; I cannot breathe. It’s agency representation by the best of the best. To the top. Hand trembling, I lift my tart. I put it back down. You’re going to be a star. It’s what I’ve wanted since, like, forever. Suddenly everything around me sharpens. The clank of cutlery. The smell of garlic. The hard blue chair pressing into my knee. I will remember this moment for the rest of my life. “Once you sign our contract, I’ll follow up on the offers you told me about.” I told her everything when we first sat down but I wasn’t sure she’d heard given how many times she stopped to take calls. 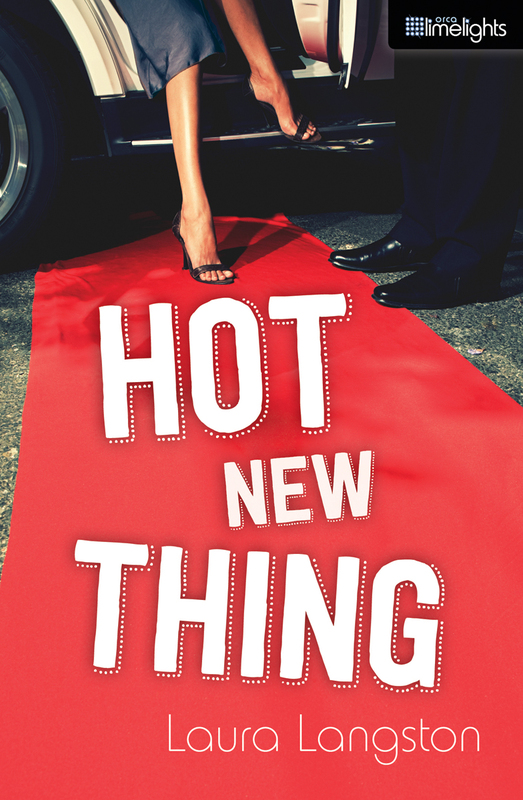 Share the post "Hot New Thing"